Thai Curry Nuggets — Always Plant-Based. Always Delicious. Hodo. Grab your fork and thank your lucky stars: our nuggets are pure heaven. To make them, we cut our protein-packed organic firm tofu into bite-sized pieces and fry them up for a chewy texture. We then slow-cook them in a traditional curry blend of bold Thai spices like lemongrass, turmeric and just a hint of cayenne. And more delicious news: these nuggets are ready to eat anytime. 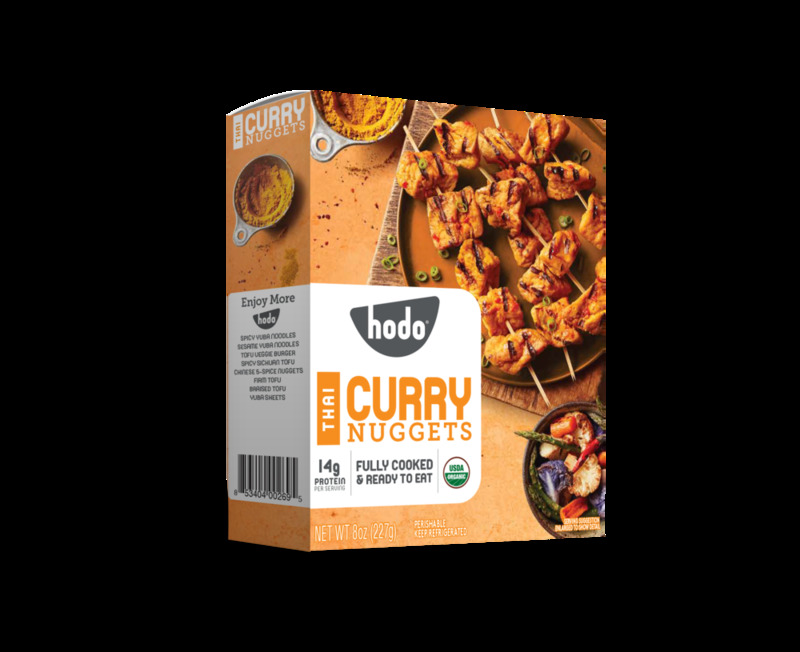 Hodo Organic Tofu Puffs* (Hodo Organic Tofu [Water, Organic Soybeans, Calcium Sulfate], Soybean Oil*), Water, Sugar*, Sea Salt, Curry Powder* (Coriander*, Cumin*, Turmeric*, Mustard*, Black Pepper*, Fenugreek*, Cayenne*), Garlic Powder*, Sesame Oil*, Chilies*, Cayenne*, Lemongrass*.